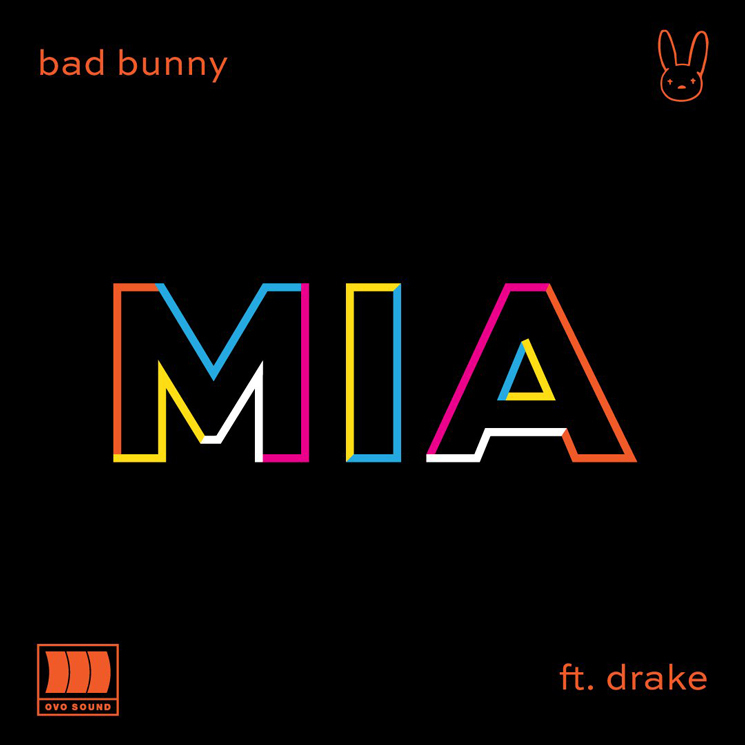 Bad Bunny and Drake Team Up for "MIA"
After first teasing the collaboration back in January of this year, Bad Bunny and Drake have finally delivered their team-up "MIA," and you can hear it now. The song arrives alongside a video directed by Fernando Lugo, in which the two collaborators pal around at a house party. Going above and beyond delivering a simple guest verse, the song also finds Drake singing in Spanish. Last month, Drake and Bad Bunny were spotted shooting the song's video in Miami. Drake had teased the video's arrival earlier in the week with a pair of stills on Instagram. Earlier this year, Bad Bunny appeared on Cardi B's "I Like It," from her Invasion of Privacy LP.